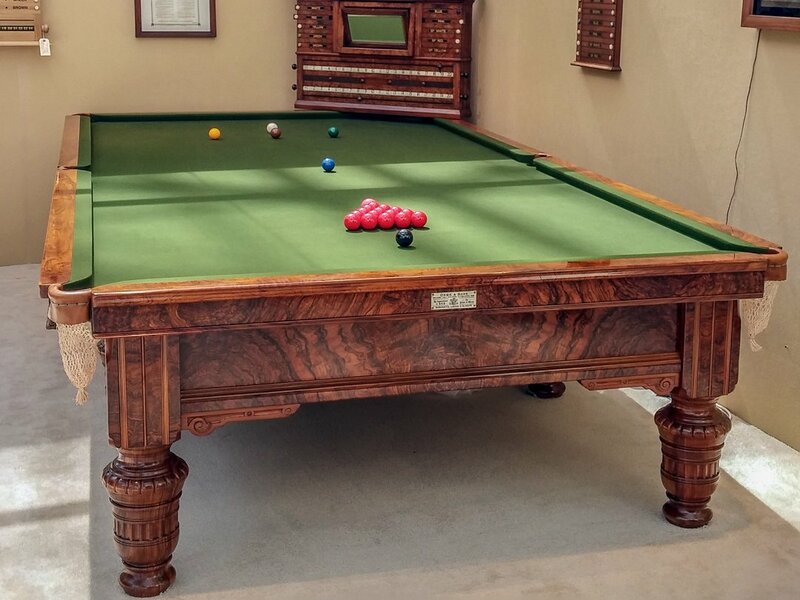 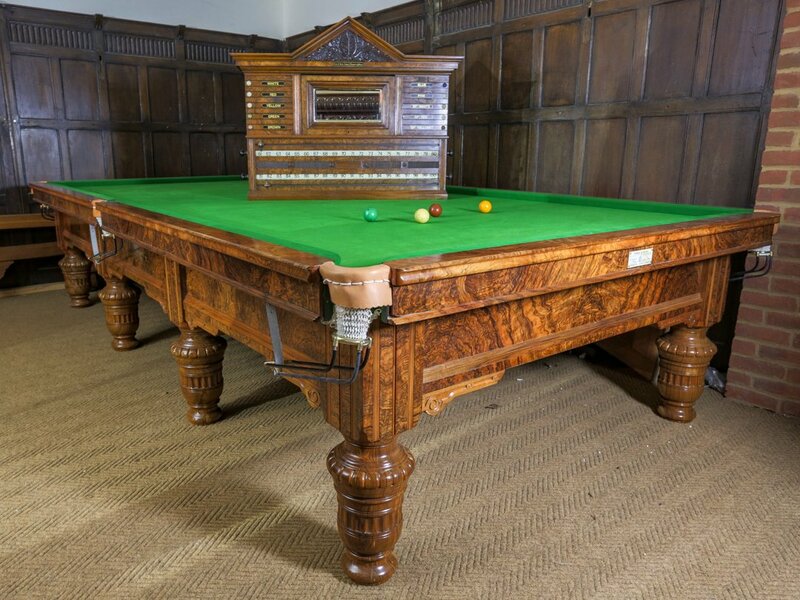 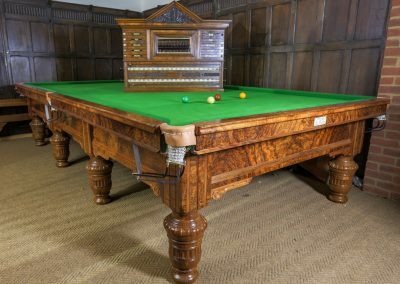 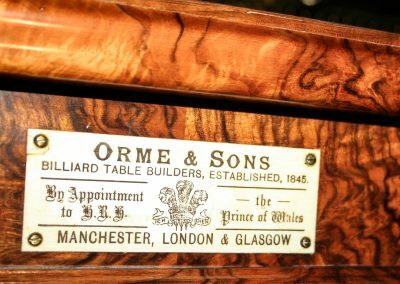 This truly fabulous Antique Billiard table was made from solid English Walnut with Burr legs and exquisite veneers, c1886, by Orme & Sons in Manchester England. 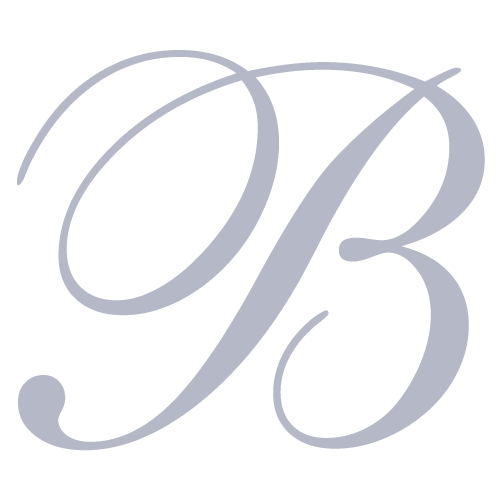 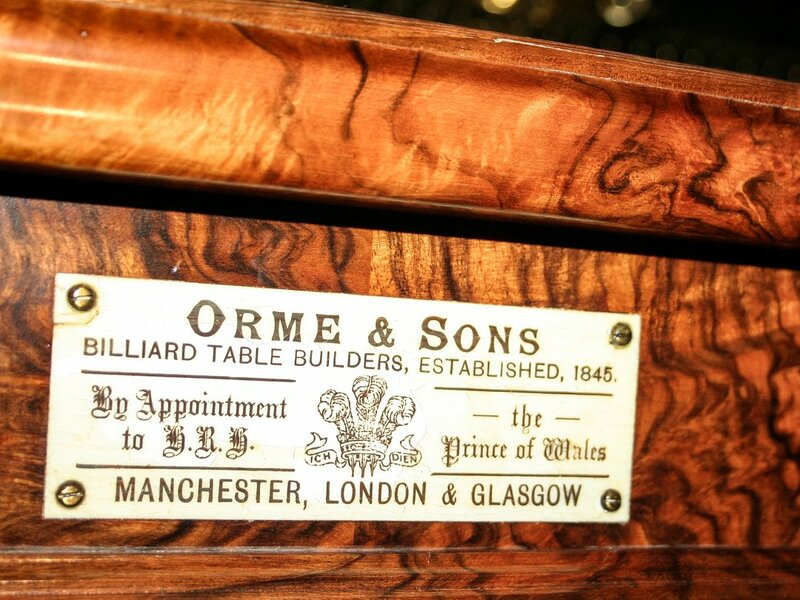 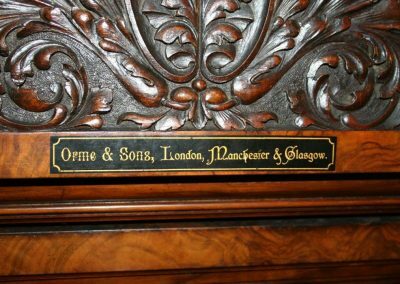 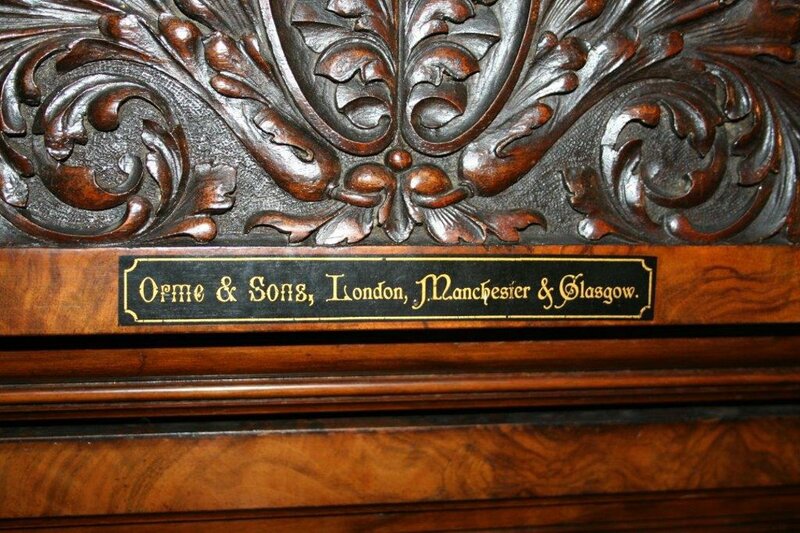 Orme’s were one of the great British table makers, established in 1845 in Manchester, expanding to Glasgow by 1880, by which time they had acquired the accolade of royal patronage, having received a warrant from Edward, Prince of Wales, which is reflected in the use of the three feathers, the emblem of the Prince, on the table maker’s plaque. 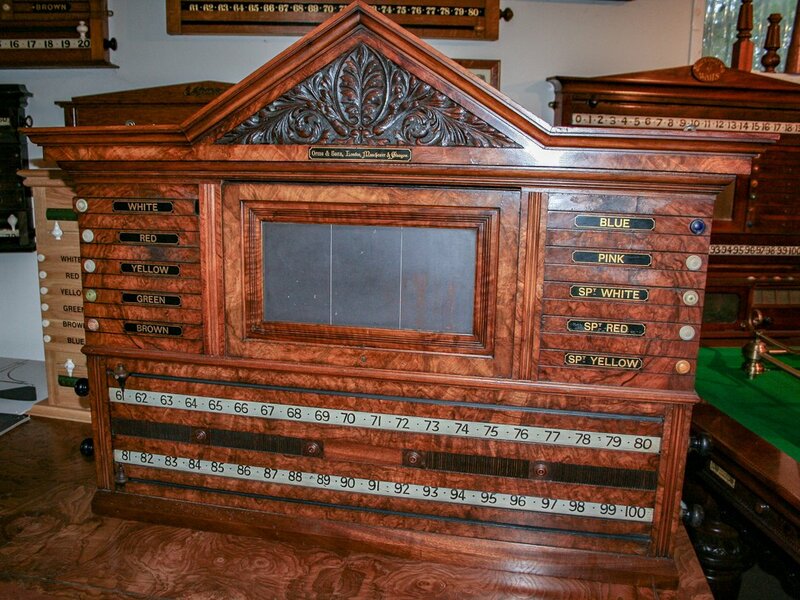 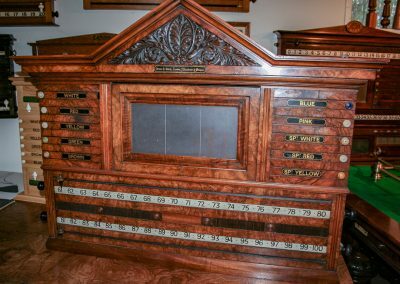 The table is original and in immaculate condition and comes with a beautiful matching scoreboard marker.